I mention this only to test drive a theory in explaining my success as a commercial writer, heretofore referred to as making money through words on paper. I’d like to say that it was my brilliant talent that landed me a job as an advertising copywriter at legendary Ogilvy & Mather, with subsequent promotions to Copy Supervisor, Group Head, and Vice President/Creative Director—truth be told, the root of my success lay in the fact that as a young man I moved to New York City, mother lode of the advertising industry. I’d also like to say that it was my brilliant talent that landed me a job as a screenwriter in Hollywood, with subsequent stints at every major studio including five years as Writer/Supervising Producer of mega-hit The Cosby Show—truth be told, the root of this success lay in the fact that when I was done with Madison Avenue, I moved to Los Angeles, mother lode of the entertainment industry. Thus, if I have any advice for anyone choosing a career called professional writing, here goes—if you want to strike oil as a writer, you’ve got to move to where the writing-oil is. New York. Los Angeles. If you think you can strike writing-oil in the hinterlands, you’re dreaming. The money’s not going to come find you, you’ve got to go find it. I’m not talking about a handful of dollars freelancing newspaper and magazine articles, or promotional pieces for a local car dealership—I’m referring to the kind of money that could eventually buy you a house, provide decent health insurance, pay for your children’s college education. Naturally, the NY/LA theory doesn’t pertain to writers of books, poetry, journals, or memoirs—these people can write wherever they choose to—and support themselves with any number of ancillary careers—teaching, bartending, medicine. I am still amazed that the great poet William Carlos Williams, who produced volumes of stunning images, never was a full-time writer. William Carlos Williams was a physician with a thriving practice—he wrote feverishly between patients—won the Pulitzer Prize—and still had time to mentor young poets like Allen Ginsberg. On the other hand, maybe you don’t have a medical degree—maybe you don’t have that hefty income to support your writing habit. Okay, here’s the bottom line. If you want to be flown first class, stay in the Beverly Hills Hotel, buy a house in the Hamptons, another in Malibu, walk the red carpet, work and play with movie stars, collect glitzy awards, trade the Jag for a Porsche—AND write scripts that millions upon millions of people will enjoy for decades—New York/Los Angeles—start packing—go—now. 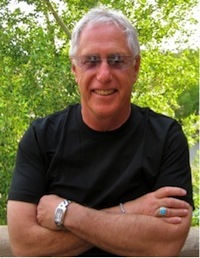 Gary Kott is an award-winning screenwriter whose many credits include Writer/Supervising Producer for The Cosby Show. Before heading to Hollywood, Kott made a name for himself on Madison Avenue in a series of roles including Vice President/Creative Director for Ogilvy & Mather. These days, his projects are housed at Gary Kott’s Creative Warehouse. Photo provided by Gary Kott. Mr. Kott, it’s not just the move that made you successful. You are very talented and write beautifully. Thanks for sharing, Gary Kott! theme/design), I don’t have time to browse it all at the minute but I have book-marked it and also included your RSS feeds, so when I have time I will be back to read a lot more, Please do keep up the great work.